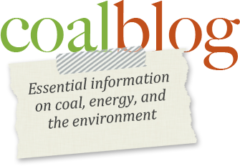 A new post on the PACE, EnergyFairness blog discusses Sen. Jay Rockefeller’s new bill that will promote and expand enhanced oil recovery and carbon capture. Last week, Sen. Jay Rockefeller, D-W.Va., introduced a bill that would expand enhanced oil recovery with carbon dioxide (CO2-EOR) captured from working power plants. The Expanding Carbon Capture through Enhanced Oil Recovery Act of 2014 would expand and reform tax incentives for carbon sequestration. Industry experts believe these new incentives would result in a significant increase in oil production in the U.S. The bill has diverse support throughout the Senate. Click here to read the rest of the PACE post.